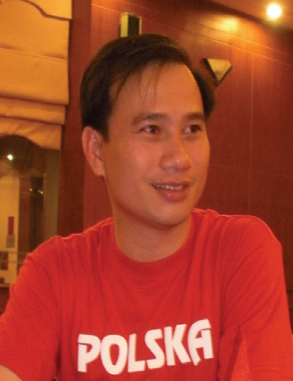 NGUYEN HUY BANG was born in Ha Tinh province, Vietnam. He graduated in Physics from Vinh University in 2002. In 2004 he completed his PhD study at the Institute of Physics, Polish Academy of Sciences, under the supervision of Prof. W. Jastrzebski. Here he did research on alkali-metal diatomic molecules by using the polarization labelling spectroscopy technique. After his graduation in Poland in 2008, he returned to work as lecturer in Optics group, Faculty of Physics, Vinh University. Presently, his field of interest concern physics of atoms, molecules, and optics.